On Thursday, October 11th, the U.S. Senate’s top banking committee held a hearing on cryptocurrencies and blockchain, wherein crypto-skeptic Dr. Nouriel Roubini and Coin Center’s crypto-visionary Peter Van Valkenburgh served as expert witnesses and offered competing views on the fledgling digital assets space. The senators present seemed generally open-minded throughout the bitcoin-centric hearing. 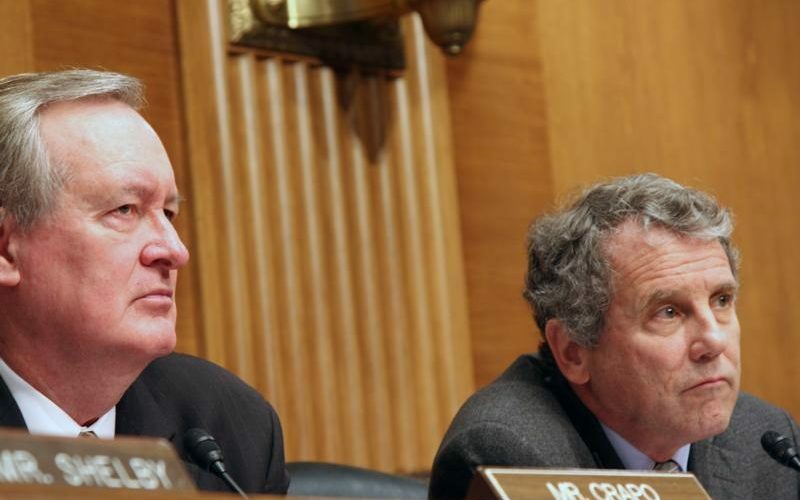 The open session hearing, officially titled “Exploring the Cryptocurrency and Blockchain Ecosystem,” was overseen by the Committee on Banking, Housing, and Urban Affairs Chairman Mike Crapo (R-ID) and its Ranking Member Sherrod Brown (D-OH). The committee, or the Senate Banking Committee as it’s often colloquially called, wields congressional oversight over matters relating to federal monetary policy, banking, and beyond. “There was no digital solution to the double spend problem,” Sen. Crapo said in an introduction that warmly acknowledged bitcoin’s first decade in existence https://apothekegenerika.de/levitra-10-mg and the cryptocurrencies and cryptoeconomic innovations that it has spawned to date. Sen. Crapo later noted much of the recent coverage around the space has been negative, centering around hacks and intensified enforcement actions. But the Senator said that the enforcement atmosphere was getting clearer all the while for the good of a variety of stakeholders. 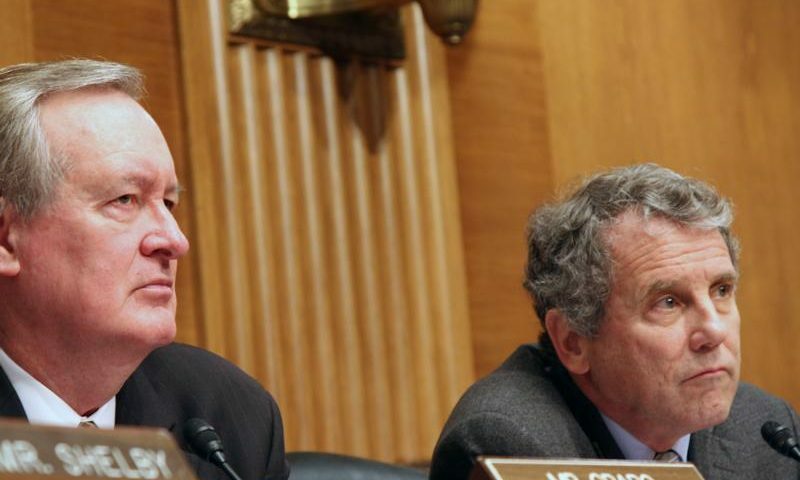 Sen. Brown went on to note the flurry of scams that have cropped up in the digital assets space and the extreme volatility that these cryptocurrencies are oft subject to, and he also cited some of the issues raised in the recent New York Attorney General report that took aim at crypto exchanges. Both of the committee’s leading senators concluded their remarks by signaling their interest in working through, and learning more about, digital assets. At this point, the hearing shifted to the introductions of its two witnesses. First went Professor of Economics Dr. Nouriel Roubini, an early predictor of the 2007-2008 financial crisis and thus nicknamed “Dr. Doom.” Alas, then went Peter Van Valkenburgh, the director of research at the Coin Center think tank. These are but a few of the assertions fired off at the beginning of Dr. Roubini’s introductory comments, which, over the the span of five minutes, marked a blitzkrieg of criticisms against cryptocurrencies and their underpinning tech, blockchain. “Why is it revolutionary? Because it works without the need to trust a middleman,” Van Valkenburgh said of bitcoin near the start of his introduction. The Coin Center research director went on to note the inefficient ledger hops that many bank-to-bank transactions have to undertake in mainstream financial transactions. “The lack of any corporation in between means that bitcoin is the world’s first public digital payments infrastructure. And by public I simply mean open to all and not owned by any single entity. “We need light-touch pro-innovation policy to ensure that these innovations flourish in America for the benefit and security of all Americans,” Van Valkenburgh later concluded. As the questioning phase of the hearing hit its stride, senators on both sides of the aisle asked questions running the gammut, with queries being posed about how cryptocurrencies can scale, how retail investors could be protected from Initial Coin Offering scams, how much power bitcoin “mining oligopolies” have, and more. 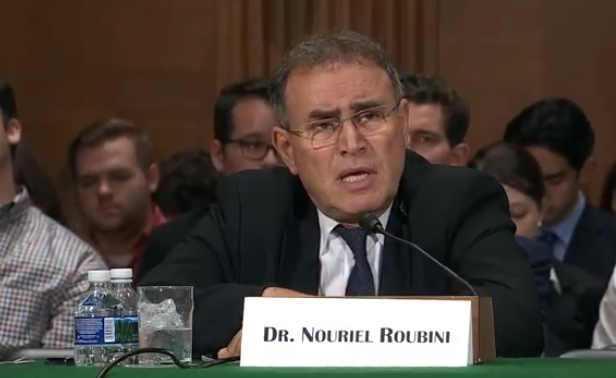 It’s also worth mentioning that after introductions, Dr. Roubini became less bombastic in his remarks, though he didn’t cede any of his overall skepticism toward the innovations under discussion. Overall, the session was extremely collegiate, with the senators routinely giving Van Valkenburgh and Dr. Roubini opportunities to respond to the other’s assertions. “What should we be thinking about to secure [cryptocurrencies],” Sen. Elizabeth Warren (D-MA) asked of Van Valkenburgh at one point in the context of protecting investors, a question that, like many of the ones posed during the hearing, focused on how cryptocurrency usage could be fostered in a responsible manner. Van Valkenburgh also notably pushed back on Roubini’s characterization that bitcoin was a haven for “criminals and terrorists.” The research director said in his liaisons with law enforcement officials, they’ve voiced that the auditability of the Bitcoin network’s ledger has made tracking crimes on its blockchain, e.g. BTC-e’s financial fraud, relatively easy. The hearing was ultimately a brief one, and no ultimate oversight conclusions were reached. However, the session marks yet another step toward increased congressional familiarity with the cryptocurrency arena. What that reality poses for the regulatory future of America’s nook of the cryptoverse remains to be seen. 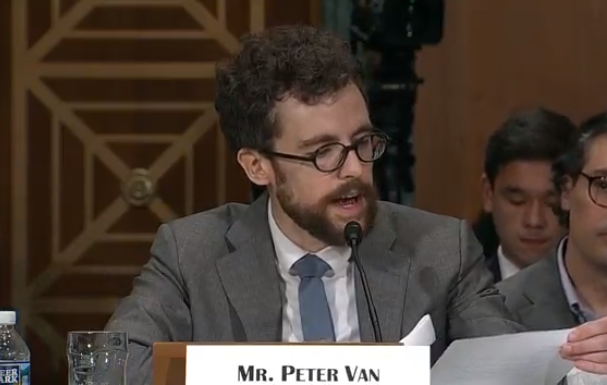 ““I appreciate the opportunity to present the committee with real world examples of the value public blockchain networks can bring to society, and to respond to some of the criticisms that have been leveled against them for years,” Van Valkenburgh commented after the hearing’s conclusion. What’s your take? Do you think more congressional hearings pertaining to crypto and blockchain are needed in short order? Nay? And what about today’s Senate Banking Committee hearing, how do you think it went? Let us know where you stand in the comments section below.